I'm currently in the midst of writing my Dissertation titled 'New Marketing Strategies for Start-up Businesses and Emerging Fashion Retailers', in this I'm discussing which methods of marketing and advertising are best suited toward the start-up market. 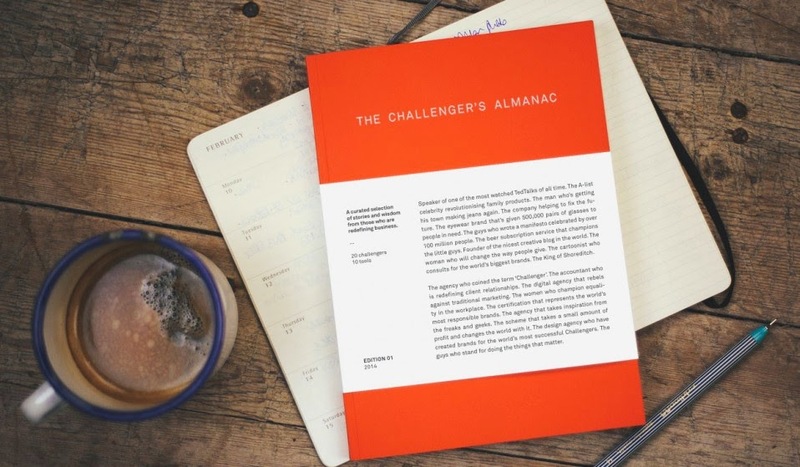 I've recently purchased this little gem of a book called 'The Challengers Almanac' by Mark Anderson and Friends, I picked it up from an independent store called Provide in the Custard Factory in Digbeth, but you can also order it online here. I am currently writing my dissertation on 'New Marketing Strategies for Start-up Businesses and Emerging Fashion Brands'. As a part of my research, I have created a consumer survey to collect your ideas and thoughts on today's fashion industry. If you have a spare five minutes, I would really appreciate it if you could fill out my survey by clicking here.